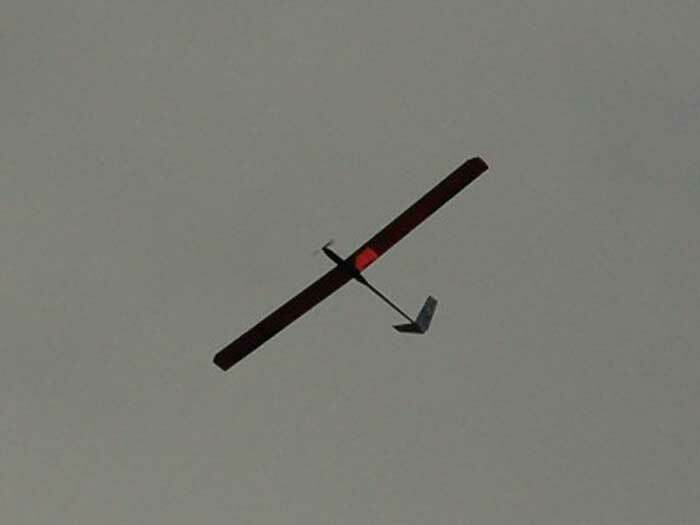 A team of students from the Technion Israel Institute of Technology, Haifa is working on a new solar powered unmanned aerial vehicle (UAV) which they hope will soon break a 17 year old world aviation record. 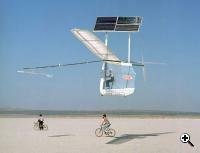 Although solar aviation is nothing new, it is still considered to be in its infancy. The work done at the Technion as well as elsewhere around the world is starting to attract the attention of the aviation industry with the hope of creating green aircrafts with a much higher endurance threshold. Sunrise I – the first ever solar powered drone took to the sky at Camp Irwin Bicycle Lake, California on November 4, 1974 It was built by the U.S. Company Astro Flight after receiving a contract through Lockheed to build a flight demonstration model of a solar powered drone. The Sunrise I used over 1000 solar cells located on the wings to produce about 450 watts of power. Sunrise I had a 32 foot wing span and weighed 26 pounds and had a service ceiling of about 20,000 feet on a clear day. A year later an improved version named Sunrise II took its first flight. 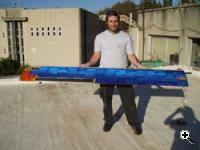 The Sunrise II with it’s 4480 solar cells delivered over 600 watts and weighed only 4 lbs (1.8kg). With more power and a lighter weight the climb rate of the Sunrise II reached about 300 ft per minute or 20,000 ft per hour and the service ceiling was estimated to be about 75,000 feet (various command and control issues limited this number considerably). The next step in solar aviation came in 1980. The U.S. Company AeroVironment (who invented the ultra-light airplane), backed by the Dupont Corporation, attempted to build a solar-powered piloted aircraft that could fly from Paris, France to England. The first prototype, called the “Gossamer Penguin”, was fragile and not very airworthy, but led the way to an improved version called the “Solar Challenger”. The Solar Challenger had a wingspan of 14.3 meters (47 feet) and a weight of 200lbs (90kg). 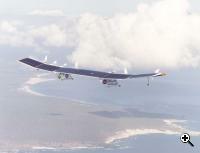 It had 16,128 photovoltaic cells that covered the wings, with a total output power of a whooping 2,600 watts. The Solar Challenger was capable of reaching an altitude of 12,000 feet, and in July 1981 the aircraft became the first to cross the 163 miles (262km) distance from Paris to Manston in the UK only using solar power. The success of the Solar Challenger sparked an increasing interest among the US Government regarding solar flight the and the funding of research into high altitude long endurance solar powered drones. Due to this, AeroVironment was able to begin work on the High Altitude Solar (HALSOL) drone project, which was first launched in June 1983. HALSOL is a simple flying wing, spanning 98 feet (30 meters). The main wing was made of carbon fiber Styrofoam and Kevlar covered by thin Mylar plastic film making it light and extraordinarily strong. The development of the HALSOL was conducted in secrecy and nine HALSOL flights took place in the summer of 1983 at the Groom Lake base in Nevada (where the legendary F-117 stealth bomber, which entered service the very same year, was tested). 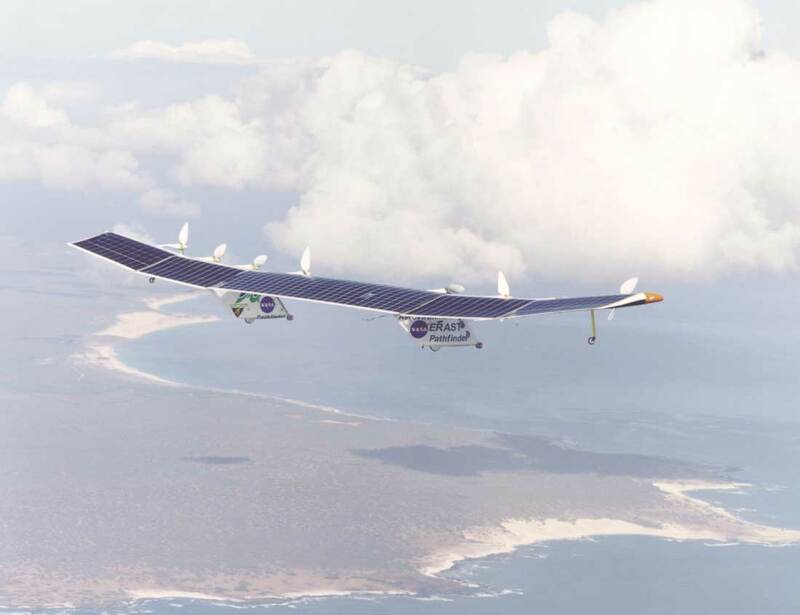 The flights were conducted using radio control and battery power, since the aircraft had not yet been fitted with solar cells. HALSOL’s aerodynamics was validated, but the tests led to the conclusion that photovoltaic technology had not matured enough at that time. It took more than 10 years before the HALSOL project was revived, this time by NASA. The now modified solar aircraft named Pathfinder reached an altitude of 50,500 feet on September 11, 1995, setting a new altitude record for solar-powered aircraft. Three years later modifications to the Pathfinder resulted in a longer-winged version called Pathfinder-Plus. On August 6, 1998, the modified aircraft was flown to a record altitude for propeller-driven aircraft of 80,201 feet. The goal of the flight was to validate new solar, aerodynamic, propulsion and systems technology developed for the Pathfinder’s successor, the Centurion, which was designed to reach and sustain altitudes within the 100,000-foot range. The Pathfinder-Plus incorporated several improvements to the original Pathfinder. One of the more noticeable features being stronger solar cells with 19% efficiency (the original Pathfinder had only 14%) developed by SunPower Corp. in Sunnyvale, California. The new silicon solar cells boosted the maximum potential power from about 7,500 Watts on Pathfinder to about 12,500 Watts on Pathfinder-Plus. The Centurion, like its immediate predecessors Pathfinder and Pathfinder-Plus, was a lightweight, solar-powered, remotely piloted flying wing that demonstrated the technology of applying solar power for long-duration, high-altitude flight. The Centurion had more than twice the wingspan of the Pathfinder and about 2/3 more than the Pathfinder-Plus (98 feet in the Pathfinder and 206 feet Centurion). The Centurion’s test flights were done by NASA in 1998 and a year later was modified and renamed the Helios (after the Greek sun god). 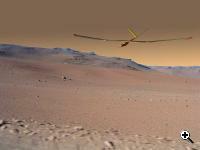 Helios is the most ambitious of NASA’s solar UAV projects to date. With a 247-foot wingspan (greater than a 747 Jumbo Jet), 62,120 bi-facial solar cells and a projected maximum flying altitude of 100,000 feet, the Helios is the peak of two and a half decades of solar aviation research. 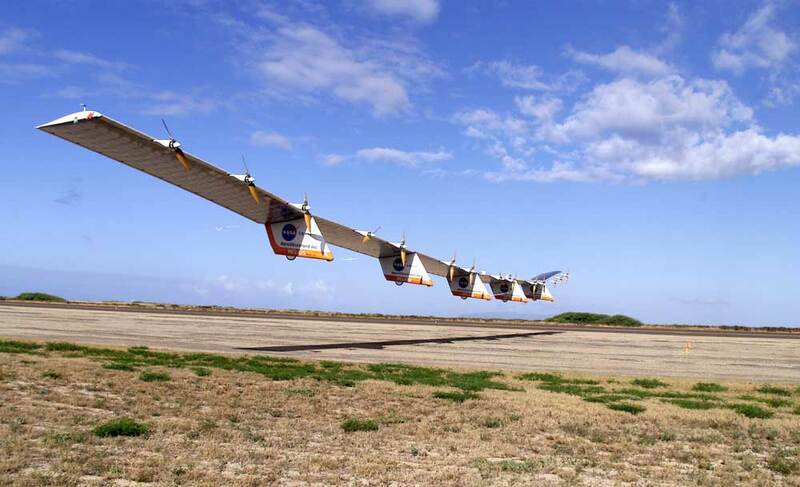 Like its predecessors the Helios was built by AeroVironment and has been used on the Environmental Research Aircraft and Sensor Technology (ERAST) program. The Helios applies hybrid technology – solar energy using photovoltaic cells by day and fuel cells by night. The Helios was designed to be the forerunner of high-altitude unmanned aerial vehicles that could fly ultra-long duration environmental science or telecommunications relay missions lasting for weeks or months without using consumable fuels or emitting airborne pollutants. On August 13, 2001, Helios demonstrated its capability when it reached an unofficial altitude record for non-rocket-powered aircraft of 96,863 feet. Unfortunately, on June 26, 2003 during a test flight over the Pacific Ocean near Kauai, Hawaii the Helios prototype was lost due to a structural failure caused by control problems. In recent years European countries are taking a more central role in the development of High Altitude / Long Endurance (HALE) solar powered UAVs. Several projects are either on going or being planed for advanced solar powered vehicles. From 2000-2003 a team from the Politecnico de Torino in Italy together with a team from the University of York in the U.K developed a concept for the Heliplat – a Very-Long Endurance Solar Powered Autonomous Aircraft (VESPAA). Heliplat and other VESPAA UAVs could play the role of a “pseudo satellite”, with the advantages of being closer to the ground, more flexible and at a cost much less than a real satellite. Heliplat-like HALE flying above a major city will be able to cover an area 1000 km across, and process a predicted 425,000 cell phone conversations simultaneously. This means a user community of 8.5 million per unit (although this does not take into account data transmission). While the Heliplat was designed to have a large wingspan (70 meters), the German Aerospace Center (DLR) is currently designing a much smaller HALE known as the SOLITAIR. The SOLITAIR will only have a 5.2 meter wingspan and four solar panel sections embedded into its body that will use small engines to rotate towards the sun. Like the Heliplat, the SOLITAIR is also being developed in order to replace some of the tasks currently done by satellites. Other interesting projects currently under development in Europe are the Zephyr light weight HALE UAV developed and tested by the U.K. company QinetiQ, and the ultra-light weight (2.5 kg) Sky-Sailor developed by the ETH university in Zurich, Switzerland for a possible future mission to mars. In 1990 Dr. Wolfgang Schaeper from Germany set the world distance record in a closed circuit for a small (Category F5) solar Radio Controlled Flight UAVs. Schaeper’s 190km record approved by the Fédération Aéronautique Internationale (FAI) stood unchallenged for more than 17 years, but now a team of nine students from the Technion is developing what they believe might be the next contender. 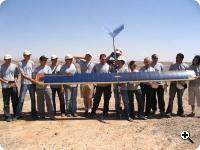 In July 2006 the team tested the SunSailor, a 90 watt ultra light weight solar UAV capable of 11 hours of sustained flight using 84 20% efficiency A300 solar panels. 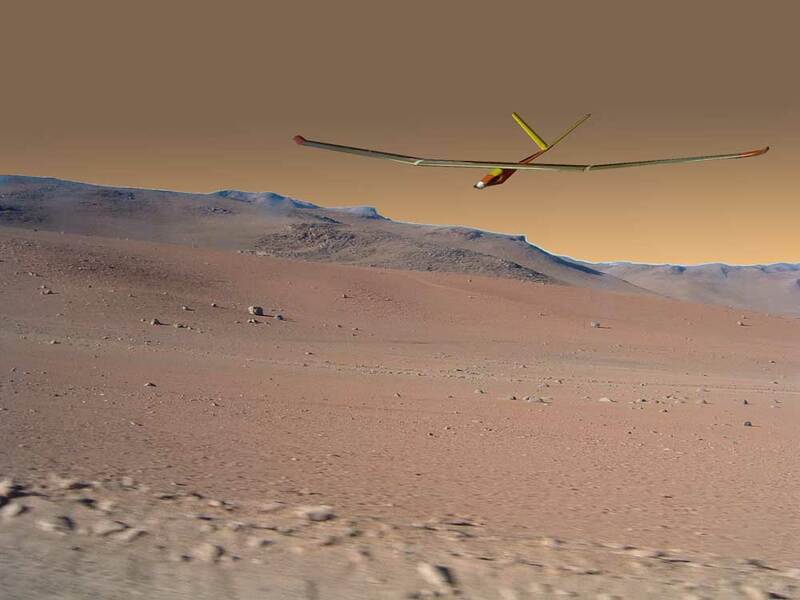 During the first attempt to break the record the team reached only 25km before the SunSailor crashed to the ground due to flight control problems. The team immediately began work on a second prototype, appropriately named SonOfSunSailor, which took to the skies only two months later. After a 40 minute successful flight test the team was optimistic that the SonOfSunSailor (an improved version with an output of 140 watt) would be able to break the record. On September 4,2006 another attempt was made which ended in another crash. Although, solar aviation is nothing new, it is still in its infancy. To date only prototypes and demonstrators have been using solar energy as their main source of power. No commercial or known operational military UAV is currently using solar energy. But the Technion’s small experimental drone has sparked some interest in the industry. The Israeli Aircraft Industries (IAI), one of the largest manufacturers of UAVs in the world, decided to give support to the SunSailor and its team. A third attempt is planned for around May 2007 and with the previous problems fixed the team believes it can break the world record. 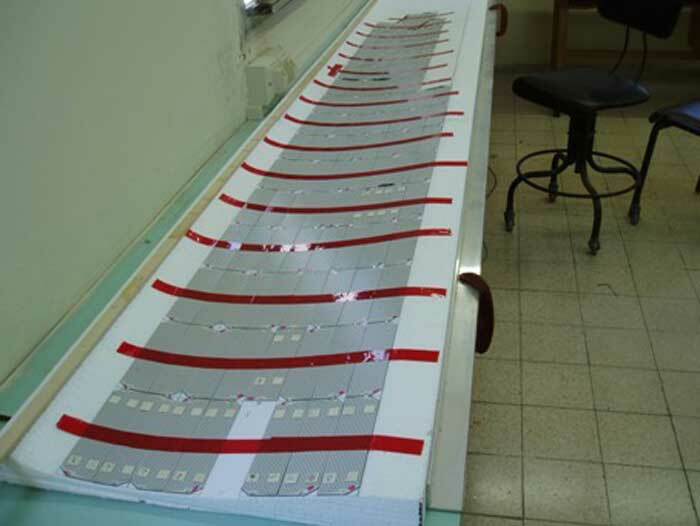 TFOT recently covered several other ground braking projects developed by students from the faculty of aerospace engineering in the Technion. Students, under the supervision of Prof. Benjamin Landkof and Robert Zickel, worked on developing a concept for UAV to UAV refueling. A different team worked on developing a small canister launched UAV equipped with day/night cameras and weaponry (both lethal and non lethal). 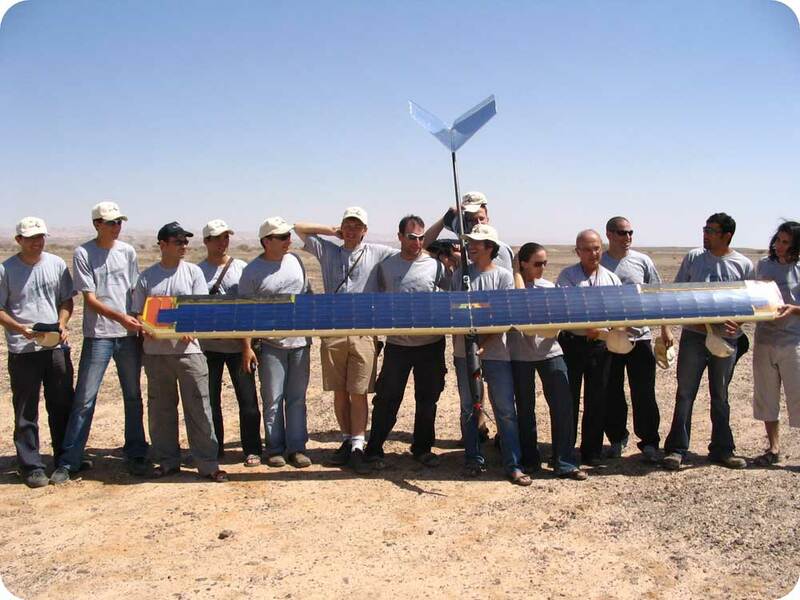 Both projects as well as the SunSailor were put on display at the 47th Israel Annual Conference on Aerospace Sciences, that took place on February 21, 2007 in Tel Aviv and at the Technion. 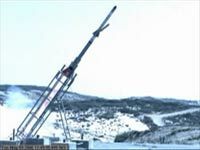 In 2006 TFOT covered another Technion project to develop a high speed ramjet rocket called Ramtech which was successfully tested on May 9of that same year, near the coast of Palmachim. To lean more about the Sunsailor, TFOT talked to Professor Omri Rand, head of the faculty of Aerospace Engineering at the Technion as well as interviewed Idan Regev from the IAI (who was one of the nine students who worked on the project). Q: When did the SunSailor project begin and how many people participated in it? A: The project began on spring 2005. 9 final year undergraduate students took the challenge and started designing the soon-to-be-launched SunSailor with the guidance of faculty staff and the supervision of Mr. Shlomo Tsach of the IAI. The real beginning of the project started a few months before that when one of these students, Hanan Levy, came to me with the idea of breaking a “green” world record. The idea was soon nurtured by Prof. Benjamin Landkof who made this project possible. So, that’s how it all started. During the flight tests we had many undergraduates and graduates students that helped us out. Q: What was the purpose and motivation of the project? A: There were three main purposes here. One is obvious and driven by the faculty education to always going further, higher and longer, even if that means breaking the world record. The second was a more selfish one, as final year students both we and the staff saw this as a great opportunity to apply all that we have learned – the theory, to reality and gaining the priceless experience of DBF – Design, Build and Fly. The third and probably the most ambitious purpose has been to set off an avalanche of solar technology use throughout the whole Israeli Hi-tech industry. Here you must bare in mind two important facts. The first being that the space and aviation industry products of today are tomorrow’s every household products, i.e Magnesium lightweight structures, athletic shoe design and water purifiers are all Apollo program products. Second fact is that Israeli Hi-Tech companies set the standard for the future of millions of people in and outside of Israel. These two combined with the most appealing idea of a solar powered UAV can change the future for the better and this is the third, hidden purpose. Q: Could you briefly describe the Sunsailor project? 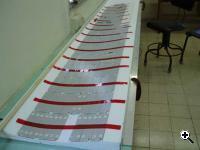 A: The project started out with a preliminary design dictated mostly by the FAI regulations for achieving the record. After insuring feasibility the students completed the design and started manufacturing the SunSailor at the Aerospace Engineering Faculty’s workshop. This SunSailor completed 6 flights before crashing. The next one, that was built after a short redesigning process was built at the Technion in between the sirens of the Second Lebanon War that were sounded in Haifa in July/August 2006. This improved version was made, with the generous help of the IAI, in a record time of 54 days. After it crashed it took only a few days until we started building the third SunSailor at the IAI with the constant help and support of the Technion. Q: What’s next for the Sunsailor? A: The SunSailor intends on breaking the World record and probably a few more surprises to come. Q: What do you see as the biggest obstacle in creating a functioning commercial solar UAV? A: The greatest obstacle is probably reliability. Especially in the civil market, reliability is very important. We have noticed that these systems, being very light-weight and having many problems, starting from structure to control issues are our main concerns. The solar panels are not that reliable as they must be handled carefully and there’s not much redundancy available. The last thing is the initial price. These products are going to cost almost twice as much than other UAVs of their size. However, after only a short period of usage, it will pay for itself as there’s no fuel and pollution costs and time between landings is not a day or two but more likely to be a few weeks. Q: Commercial Photovoltaic cells still have fairly low efficiency (typically >20%). At what level of efficiency do you believe they will start proving to be more useful in commercial aviation (both manned and unmanned)? A: Truthfully, Solar cells low efficiency is only half of the problem. The means of energy storage such as rechargeable batteries or fuel cells is the other half. But solar cells for large scale commercial aviation will have to go a long way before they can supply the power that is needed. Even a 40% solar cell covered wing on a sunny day will barely be enough for the cruise power requirements of a small manned aircraft. 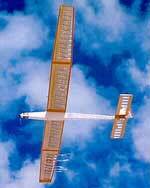 Q: NASA’s Helios was designed as a hybrid UAV using both solar panels and fuel cells. Do you believe this is the way to go for future solar UAVs? A: Solar power alone is not enough. During night time and even during the day (for large scales) the UAV must have an energy storage capability. Even if you fly above the clouds at a low altitude around the equator you can not catch the sun, the earth turns faster than an electric powered aircraft can, so a 24 hours flight will have to be hybrid. A: In 5 years from now we will be able to see solar powered private/military small scale UAVs monitoring large areas of farms or woods and conducting various border control missions. In 10 years we will be able to see the first successful commercial Long Endurance High Altitude UAVs that will enable “semi-satellite” use for communications and observation. Finally, if Solar cells and Energy storage devices keep advancing at the current rate, I believe that 50 years from now, Hybrid HALE UAVs will substitute most of today’s satellites. A: Currently the IAI is testing the technology and aims to apply it in the future wherever it is feasible and needed.